The Recipe to Ambleton Delight: Tip #5: What’s in a name? Tip #5: What’s in a name? 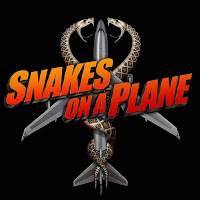 Snakes on a Plane. Merely the title of this film generated interest and an automatic fan base. And when the director wanted to change it to Pacific Air 121 star Samuel L Jackson apparantly threatened to quit. That shows how important getting the title right is! Our script went through several names before settling on Ambleton Delight (with its double meaning). It was firstly named Apple Pie. Then we wanted to add the name of the village, so it became Millfield Pie. But that was too much of a mouthful, so we choose a fictional town in Sussex from a Sherlock Holmes story –Lamberely. We liked this, until Sinead (the producer) pointed out that Lamberely Pie sounded like lamb pie! So we dropped the L to make it Amberely Pie –without at first realising there was an actual village in West Sussex with this name! So we later conjured up a similar sounding name –Ambleton. 1. Make it memorable. If people can easily remember the title that can only be a good thing. 2. Not too long. The longer it is the harder to remember or to include in artwork etc. You no doubt can remember ‘Borat’ but can you remember the full title (http://bit.ly/yqqUn)? 3. Not too difficult to remember. If it includes a foreign word, an invented word or a list of numbers, this is likely to be difficult to memorise and people will lose interest in doing so. 4. Reflects the genre. Deceiving an audience into believing it is another genre can be fun but also detrimental, as you may also miss your target audience. 5. Translation. Will it translate well into another language –especially if you are targeting a foreign audience? In Japan, almost all Western films are completely renamed, except for simple and effective titles. 6. Copyright. If you include a product in the title, can you get this cleared? It might be cool to copy the name of another film and/or play with the wording to make it sound similar, but there may not only be legal issues, but will it ultimately confuse or disappoint your audience? Once you’ve got a good title, the next thing is to make sure the film lives up to it! Tip #1: Use what you’ve got, not what you’ve not. © 2008-2011 Parkes Productions Ltd.
All images, characters, story, motion images and soundtrack is property of the copyright owner. Any unauthorised copying or reproduction in any form will be conisdered copyright infringement liable to legal action.